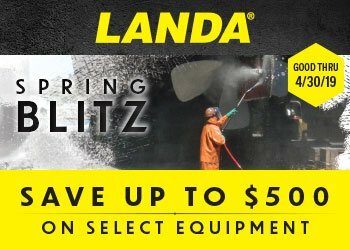 The perfect choice for in-plant cleaning, the Landa EHW Series couldn’t be easier to operate – just plug it in and get hot water! The lack of combustible fuels or hazardous fumes make it safe to store under the stairs or in a closet. The heating coil is uniquely designed for immersion in a tank of hot water for reduced maintenance needs, and a layer of oil floating atop the water assists in heat retention and prevents evaporation. 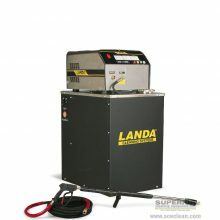 The EHW is enclosed in a stainless steel cabinet and mounted on a platform, and can be fitted with the Landa LanCom wireless remote system, time delay shutdown, and other labor saving options.